Board meetings are the most likely place for directors to discuss and vote on important decisions affecting corporations. However, there are times when a decision must be made between meetings. For those times, asking directors to make a decision and sign a unanimous written consent in lieu of a meeting is a viable alternative. 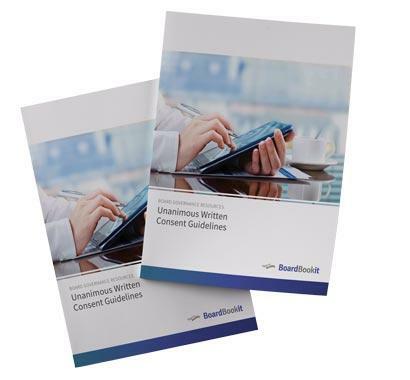 Download our free unanimous written consent guidelines whitepaper and find out how Unanimous Written Consent fits in with making decisions and approving resolutions in lieu of meetings.